Terra Running Company opened in Cleveland, TN in February 2016. Owners Brittany, David, and Rocky Durkin have spent a lifetime working running into their daily lives and are now sharing that experience to help you meet your goals. We are fortunate to be able to serve the entire community and our days include helping your neighbor find a comfortable pair of shoes to work on their feet all day, finding the perfect shoe for an upcoming ultra marathon, and helping a new runner work towards their first 5k finish line. We love to be the "go-to" place in Cleveland to get the best footwear and chat about your latest goals. Brittany and David serve on the board of the Cleveland Bradley Chamber of Commerce and Mainstreet Cleveland repectively, and our owners and staff value supporting other locally owned businesses. In addition to the retail store, Terra Running Company helps dozens of local organizations put on awesome events with our race timing and management services. 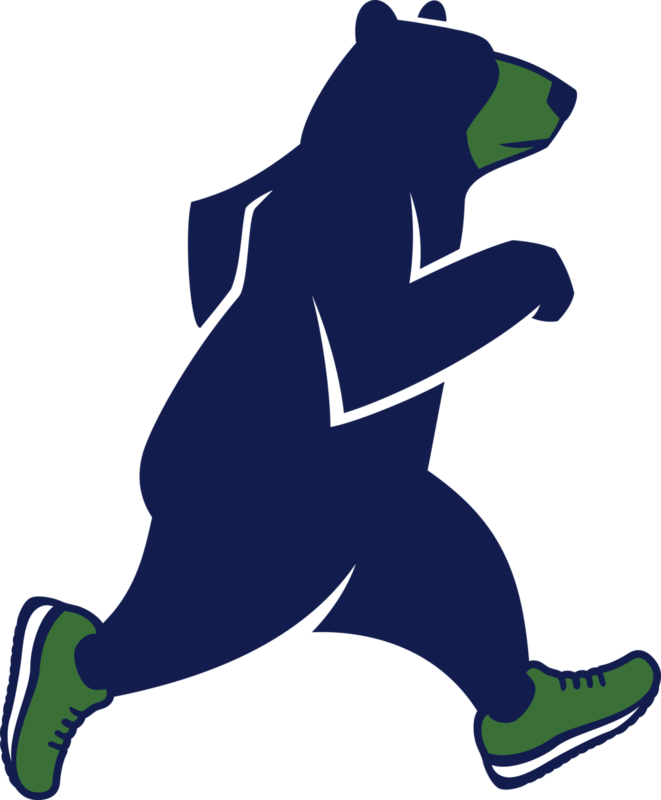 We also host a few races of our own including the Cleveland Half Marathon, Tall Betsy 6k, Terra Trail Half Marathon, Bear Claw Trail Race, and the Cleveland Thanksgiving Day 5k. In Spring 2018, we completed renovations of the historic Fillauer Building in downtown Cleveland and moved the shop the heart of the city. We also welcomed the latest addition to the Terra Family, Bear Brew Coffee as our new neighbor! "Terra" means land or earth. Terra Running Company seeks to prepare runners, walkers, hikers, and active people to explore the beautiful earth around them. Brittany and David choose to carry brands that share the same mission as Terra Running Company and help their customers keep an active lifestyle. We are strong believers in the benefits of shopping locally. Where you buy matters. Locally owned stores are more than just the corner store. They are the foundation of our economy. The places where communities unite and ideas thrive. They account for 75% of all new jobs and employ over half of all workers in America. They reinvest in the local economy at a 60% higher rate than chains. Spend $100 at a locally owned business and $68 goes back to the local economy. Spend the same $100 at a national chain and only $43 returns to the local economy. Make your purchases matter. Put your money where your house is and support your friends and neighbors. Shop Local. Learn more about the benefits of shopping local at LaceUpLocal.com and IndependentWeStand.org.